“Vinyl – Albums Live IV” will be held on Saturday, January 11, 2014 at The Palace Theater in Syracuse, NY. Our January performance will consist of three rock albums performed in their entirety. The three bands feature 19 Syracuse musicians in total, eight of whom are new to the Vinyl – Albums Live family! $20 tickets available in person at The Sound Garden in Syracuse’s Armory Square and online via Ticketfly. The Allman Brothers released “Eat a Peach” in September of 1973. Featuring a mix of both live and studio recordings including the songs “One Way Out, “Melissa” and “Blue Sky” the double album went platinum and was their second biggest commercial success, hitting the #4 spot on Billboard’s album sales chart. 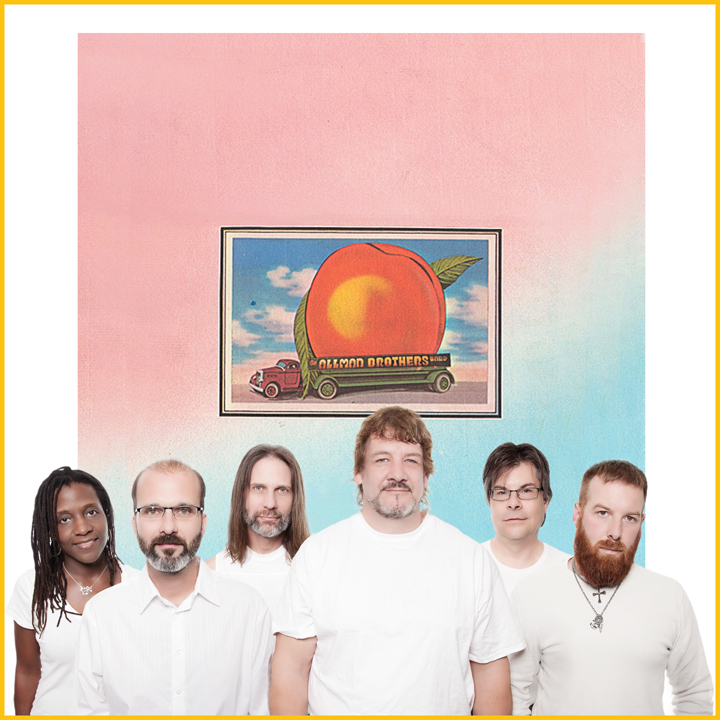 Vinyl – Albums Live musicians performing “Eat a Peach” are (from left to right pictured above): Susan Royal (drums), Mark Westers (guitar), Pete Szymanski (drums), Andy Comstock (lead vox & bass), John Kapusniak (keys) and Chad Mac (guitar). 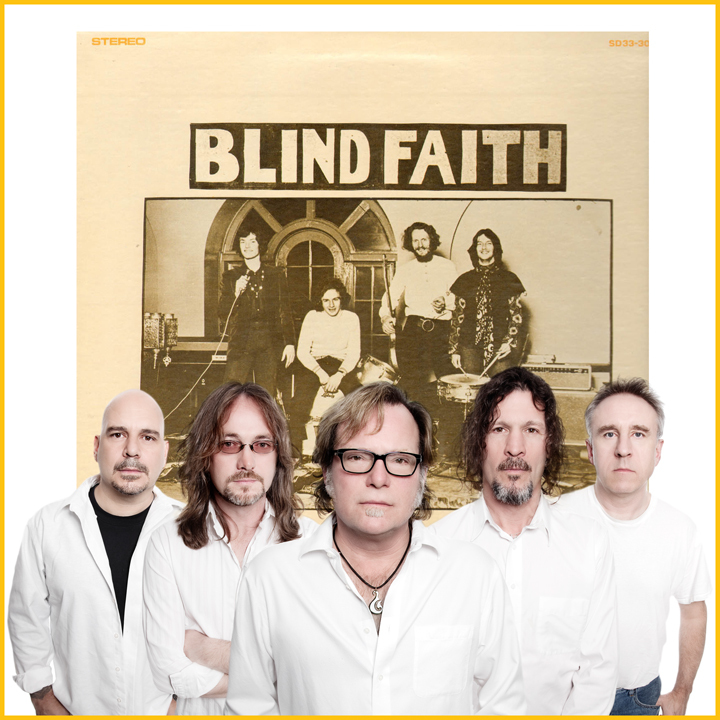 Released in August of 1969, “Blind Faith” was the self-titled album by the English supergroup Blind Faith, which consisted of Eric Clapton (The Yardbirds, Cream), Ginger Baker (Graham Bond Organisation, Cream), Steve Winwood (Spencer Davis Group, Traffic) and Ric Grech (Family). Featuring “Can’t Find My Way Home” and “Presence of the Lord”, this was the groups one and only album, which upon release topped Billboard’s Pop Albums chart in America, the UK and Canada. Vinyl – Albums Live musicians performing “Blind Faith” are (from left to right pictured above): Joey Porto (guitar), Jimmy Puma (bass), Doug Moncrief (lead vox and keys), Lenny Milano (drums) and Steve Robinson (guitar). 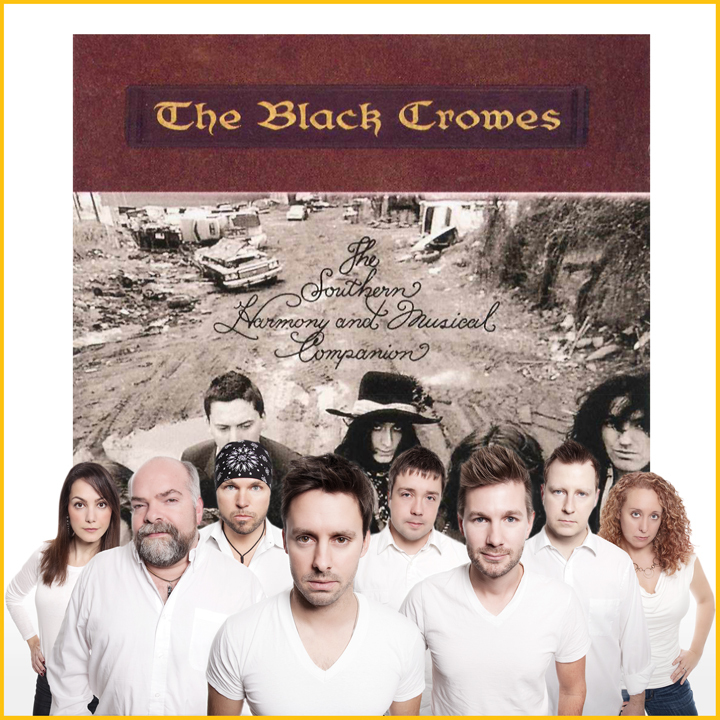 Released in May of 1992, “The Southern Harmony and Musical Companion” was the second album released by The Black Crowes. The album features four hit singles; “Remedy” (#1 on the Album Rock Tracks chart for 11 weeks), “Thorn in My Pride” (#1 on the Album Rock Tracks chart for four weeks), “Sting Me” (#1 on the Album Rock Tracks chart for two weeks), and “Hotel Illness” (#1 on the Album Rock Tracks chart for six weeks). The album itself reached the #1 spot of the Billboard 200 albums chart, propelled by the success of these singles. Vinyl – Albums Live musicians performing “The Southern Harmony and Musical Companion” are (from left to right pictured above): Lisa Romano (backing vox), Steve Winston (bass), Todd Stiles (guitar), Jason Vaughn (lead vox), Shane Kelsen (keys), Chris Eves (guitar), Bob Kane (drums) and Robyn Stockdale (backing vox). See you on Saturday, January 11th at The Palace Theater for Vinyl – Albums Live IV!